Baja fresh is giving out coupons for a free taco for signing up to their Club Baja plus you get a free burrito on your birthday. Coupons will be emailed to you instantly. Join Club Baja today and treat yourself to exclusive single use coupons, specials and new product information via email twice a month. Receive a $2 discount on your food purchase of $8 or more. Print coupon and save $5 on your next $15 food order. Enjoy free guacamole & chips when you make a party pack purchase of $50 or more. Print coupon and receive a 15% discount when you spend $50 or more. 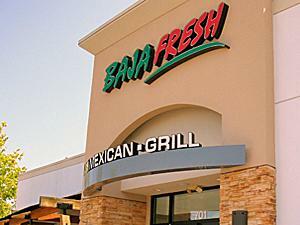 Kids in costume receive a free kid's meal at participating Baja Fresh restaurants with the purchase of an adult entree.